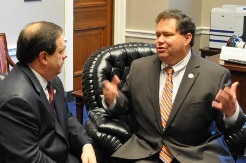 While in Washington, DC this month, I sat down with South Texas Congressman Blake Farenthold from Corpus Christi, TX. 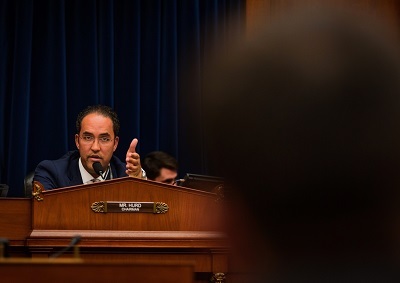 Farenthold sits on the House Oversight Committee which has been looking deeply into an issue I have been covering since the day after the murder of US Border Patrol Agent Brian Terry, Operation Fast and Furious. We also discussed issues important to South Texas, including Border Security, a guest worker program for agriculture and some ecological issues related to Obama's illegal order to stop offshore drilling. Farenthold's district is moving northward and will soon cover my home town of Rockport, TX. We discussed the issue of the pass that was closed by a recent hurricane that is effecting the crab population of Cedar Bayou and Matagorda Bay. This directly endangers the food supply for the struggling Whooping Crane population, which winter at the Aransas National Wildlife Refuge. Aransas County Judge Burt Mills brought this to my attention a couple of years ago. On this issue Farenthold said, "I'm willing to help them however I can. They're doing a real good job of doing it without federal money. If we can do that, that's better." Farenthold is doing a great job for the people of Texas.We need to strongly support his re-election to Congress in this November's election! Bob Price: Congressman Farenthold, thank you very much for inviting us into your office here today in Washington, D.C. We appreciate the opportunity to talk to you. You stood on the House Oversight Committee, and this morning there was supposed to be a hearing about Operation Fast and Furious, but I guess that got delayed until next week because the IG's report is not out yet. Congressman Blake Farenthold: They said there are technical errors that they're trying to correct. I'm wondering if they're just not trying to stall it beyond the time we have before the election. Bob Price: This IG is part of the Executive Branch? Congressman Blake Farenthold: Right. They're internal investigators looking at it. The fox that's guarding the hen house. Bob Price: What's going on with that? I know your committee voted to hold Attorney General Holder in contempt of Congress, and the House voted in favor of that. Where do we stand on moving forward on this issue? Congressman Blake Farenthold: We actually voted two different contempts. We voted criminal contempt, and we voted civil contempt. The criminal contempt gets referred to the Justice Department, which Eric Holder controls to prosecute. Needless to say, not a lot of action on that. But what we've done, approving civil contempt, is authorize the committee to hire lawyers to go into federal court and have him held in contempt civilly, and the lawyers are working on that. Quite frankly, I would have expected to see more action out of that now, but you know as well as I do, once it gets in the hands of the lawyers, it moves at a snail's pace. Bob Price: It really is amazing. 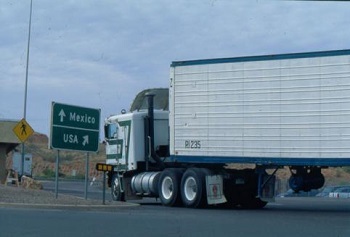 Of course, the Obama Administration, when they first came into office, sent a political statement out saying that guns were flowing freely into Mexico from the United States, and we needed to do something about that, and then here they started this whole process of the Fast and Furious gunrunning, or gun walking if you will, to prove out their own theory. Congressman Blake Farenthold: It really is a self-fulfilling prophecy, and attempt to demonize the firearm industry, who actually brought this problem to the attention of ATF, and ATF in Fast and Furious basically ordered them to continue to sell these guns to people they knew were taking them to Mexico, and it makes absolutely no sense. Anybody who has watched a cop show on TV knows how poorly it was run. I spent a lot of time thinking about why would you want to do this, and the only explanation that I've been able to come up with, of course I'm open to others, is you go back the Obama Administration saying don't let a good crisis go to waste. The next step beyond that is why not create a crisis? And what you've seen happen as a result of Fast and Furious is a regulation, not a law, but a regulation passed by the Administration that says if you're in a border state and you purchase multiple weapons, that gets reported. That only happens in border states, it's a violation of the Second Amendment, not a law passed by Congress; it was something that was done administratively, and I think that's indicative of what their intent was in Fast and Furious. Best theory I've got. Bob Price: Well this Administration certainly doesn't have much respect for the Second Amendment or the Fourteenth Amendment, equal protection, and Texas has certainly suffered as a result of that. Now you're the Congressman from the Corpus Christi area in South Texas, and I understand you're working on a bill now, because the Obama Administration's illegal orders against drilling in the Gulf of Mexico, now the platforms are moving out at a very rapid pace. Congressman Blake Farenthold: What's happened is as a result of the BP oil spill, a knee-jerk reaction was the federal government ordered companies to pull out non-producing oil rigs. Now, I think they think that if a hurricane blows a rig over or a ship runs into it, there's going to be another oil spill. That's nonsense. We Texans know that in oil and gas drilling operations, the well is plugged well beneath the floor of the ocean, and these structures are just standing there. What they've become is artificial reefs. It's where, if you're a Gulf fisherman, you fish the rigs. If you're a diver, you dive the rigs. Even the exhibit in Corpus Christi at the Texas State Aquarium is based on the ecosystem that develops around a rig. But the government has ordered them to pull these things out willy nilly, they're going in with explosives to take them out, killing all the fish that are there and destroying the habitat. We've got a bill that says hey, let's stop doing this for two years, give the experts at the heart research center at Texas A&M Corpus Christi, the oil companies, the fisherman, Texas Parks and Wildlife, and all the various interest groups time to come together and come up with a solution to where we can keep these fisherman and divers and the economic value that they bring to the Texas Coast. Bob Price: That's not just economic as well, it's also environmental. It creates a beautiful environment for the creatures in the ocean. Congressman Blake Farenthold: Well we've got conservation groups that are supporting us, and we're actually starting to get some environmental groups behind us. Once we can get them over their irrational hatred of the oil companies, they realize that this is a great habitat for wildlife. Congressman Blake Farenthold: It's part of the district after the election. Right now I represent Corpus Christi to Brownsville. In redistricting, I go up the coast and Corpus Christi becomes the southern most district as opposed to the northern most. Bob Price: Okay, and that's actually the area that I grew up in, in Rockport. They've had a problem since the last hurricane came through, it closed the pass. 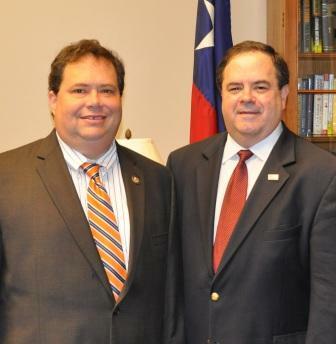 Congressman Blake Farenthold: Cedar Bayou. Bob Price: Cedar Bayou Pass, and it's affecting crabs, which affects the Whooping crane population, takes their food away, and so I understand they're working on some issues, and you're supporting them. Congressman Blake Farenthold: I'm willing to help them however I can. They're doing a real good job of doing without federal money. If we can do that, that's better. If there's a grant program or something out there that can be retasked to that, that's something worth looking at, but obviously the big theme here is, despite some of the local needs, and every Congressman has local needs, we've got to keep our eyes on the big picture, and that is that the government is spending way more money than we're bringing in. So until we can get the economy turned around and gets those revenues up through economic growth, we've got to tighten our belt and look for ways to do things without spending federal money. Bob Price: Since your district runs down to the valley, I guess that leads into the obvious question about the situation along the Mexican border with the United States and Texas, and clearly that area is out of control. Congressman Poe has a bill to authorize the use of National Guard troops through the control of the governors, but payed for by the federal government. Are you working on any issues related to border security? Congressman Blake Farenthold: There's several things that need to be done. We are seeing some increasing violence coming over, and the drug problem is just terrible. I have a couple ways that I think we need to address it. 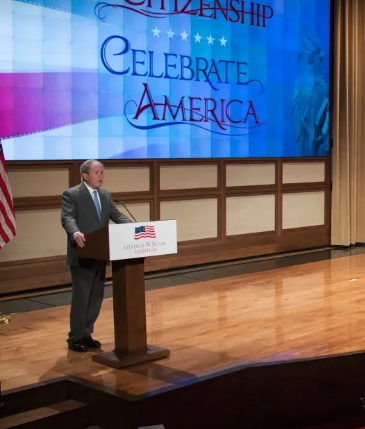 The first one is we've got to look at getting our immigration system under control and then once we've got a good immigration system, we change the rules of engagement for the border patrol where they can actually stop folks coming. 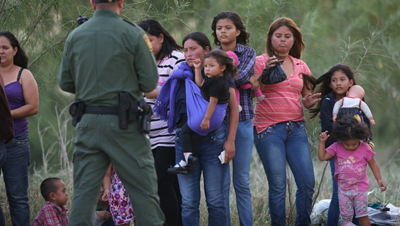 Right now, there's a reluctance to be real aggressive with the border patrol for fear it's an economic refugee, that's a politically correct term for illegal alien, somebody coming over here for work. If we can create a reasonable system to deal with that, then we know everybody coming over here is a really bad guy and a drug dealer or somebody who means harm to this country, we can change the rules of engagement. So there's a lot that can be done there. But I agree with Congressman Poe and a lot of people down there that one of the possible solutions, probably the best solution is more boots on the ground, but again, that's expensive. If we can solve it with some policy changes without spending some money, it's probably a better solution. Bob Price: Well we have a lot of equipment coming back from Iraq and Afghanistan and a lot of that equipment, the drones and some of the vehicles could be utilized by both the border patrol and the local sheriffs down there. Congressman Blake Farenthold: There's some great initiatives underway to get some of those assets retasked. Again, it goes with changing the rules of engagement. If we can get some of these UAVs flying over the border, spotting people as they're coming, and get some of these helicopters to fly the border patrol agency and stop them as they're trekking through the ranches or through Big Bend, that's certainly a way to stop them. It's a forces multiplier. But you know again, you get an Apache helicopter coming down on a migrant farm worker, even though they are illegal, is very difficult politically, especially for the Democrats to stomach, so some sort of guest worker program, especially for agriculture workers in Texas I think needs to be a piece of that. Congressman Blake Farenthold: And not my district; it's the people's district that I'm honored to represent. It's kind of a pet peeve of mine with congressmen who call it their district. It's not their district; they don't own it. It's the people's district. Bob Price: So people have a misconception that farmers or construction companies are looking for cheap labor, but really they're looking for labor because while we have a high unemployment rate, we have a labor shortage at the same time when it comes to manual labor. Congressman Blake Farenthold: There are a lot of people who say that that I don't think would be willing to come out and work in the Texas hot sun. I will challenge anyone who says that. Come down for a month then and see if you want to keep that job. That's really with the oil boom we've got in Texas. In Victoria, I was talking to the EDC folks, they're at about 6% unemployment nominally, but they say anybody who's willing to work and can pass a drug test can get a job in Victoria. I mean I see signs at Dairy Queen saying you know $12, $18 an hour to work at Dairy Queen. Bob Price: Chick-fil-a, interestingly enough when all that was going on, we talked to some of them. They're paying anywhere from $12 to $20 an hour for people, and they're still having to hire immigrant labor because they can't get enough Americans to do the job. Congressman, we thank you very much for your time this morning. Is there anything else that you'd like to say to the readers of TexasGOPVote today? Congressman Blake Farenthold: I just appreciate y'all taking an interest in what's going on here in Washington and being a voice for our conservative values. Bob Price: Well thank you for serving the people of South Texas and all of our country. We greatly appreciate it.